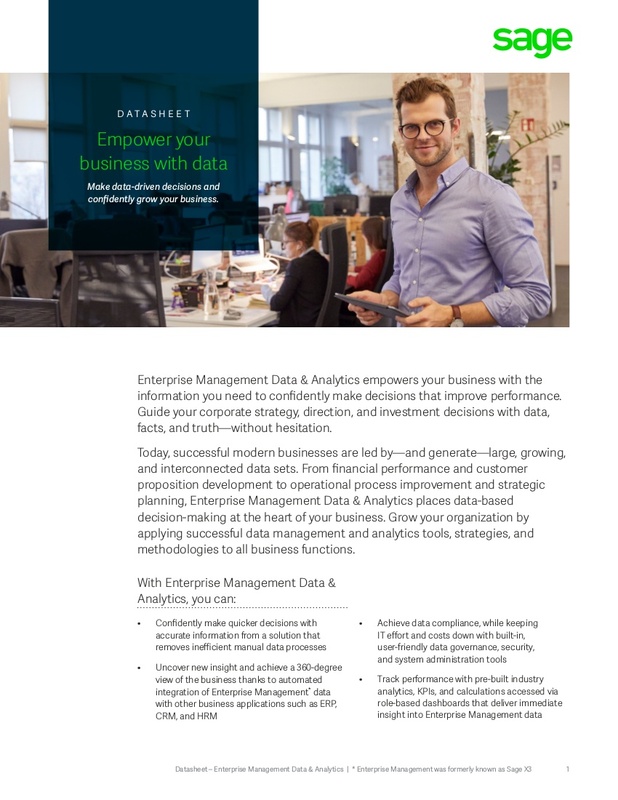 Enterprise Management Data and Analytics extends the capabilities to provide users with a hub for managing information from all sources, and built in data models for reporting. 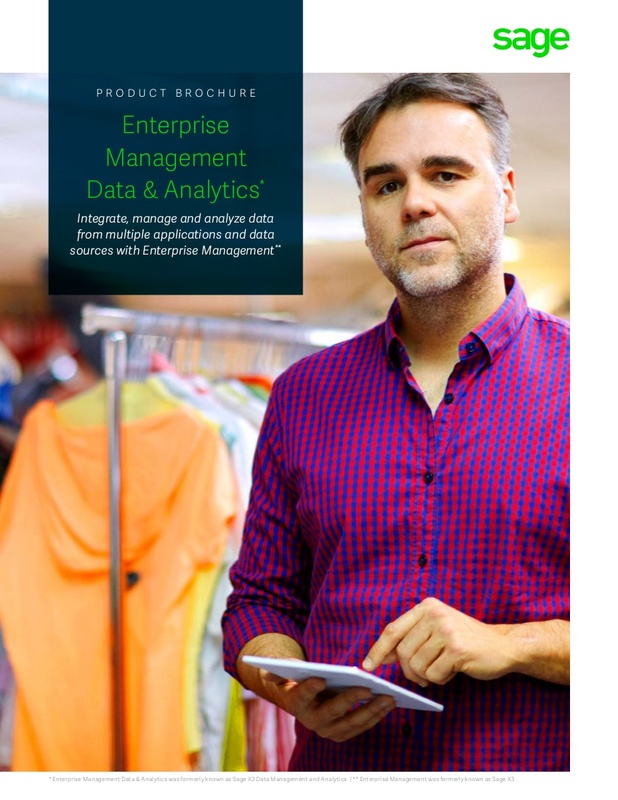 What does Enterprise Management Data & Analytics do? It automates the process of collecting data from applications and data sources across a business and integrating them into a data hub that is up-to-date, accurate and secure. Its pre-packaged data models and intuitive data modeling UI then enable customers to organize the data for analysis, easily. 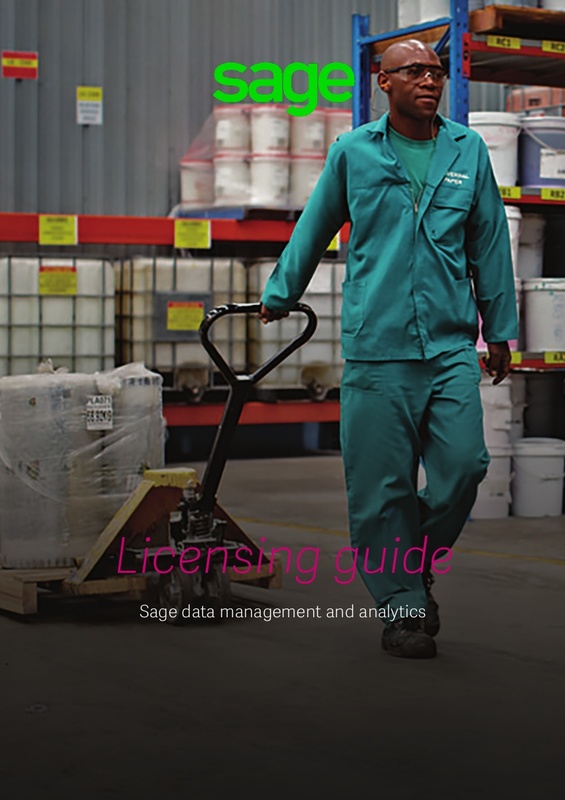 No SQL code is required, but it can be used if the customer has the capability. Its pre-set, industry best-practice analytics, calculations and KPIs means customers can instantly analyse data and start to measure performance. Its pre-packaged, role-based dashboards deliver visualizations of relevant information from across all functions of the business.